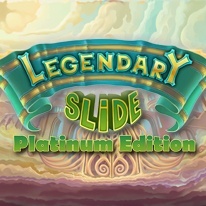 Restore the ancient temple by mastering puzzles in Legendary Slide Platinum Edition. Clear away the tiles, solve over 80 unique puzzles and collect gems to restore the ancient temple of Air and continue your journey through the Legendary world. This unique mahjong game will challenge your problem solving skills and keep you entertained for hours!